Hearing assistive technologies make sound accessible for individuals with hearing challenges. Some devices may increase decibel levels, making sound audible for the hard of hearing. Others will communicate sound via alternative methods, such as text or flashing light, for those who are deaf. These 53 dB phones are TIA-4953 certified and are an ideal solutions for those with mild, moderate and severe hearing loss. ClearSounds WCSC600 Digital Amplified Freedom Phone offers a a large back-lit adjustable LCD and up to 50 dB of amplification. 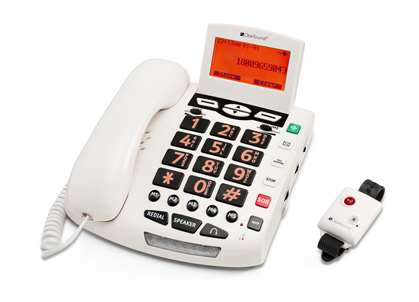 This emergency speakerphone auto-dials 5 pre-programmed numbers, records an outgoing emergency message and offers 50 dB amplification. 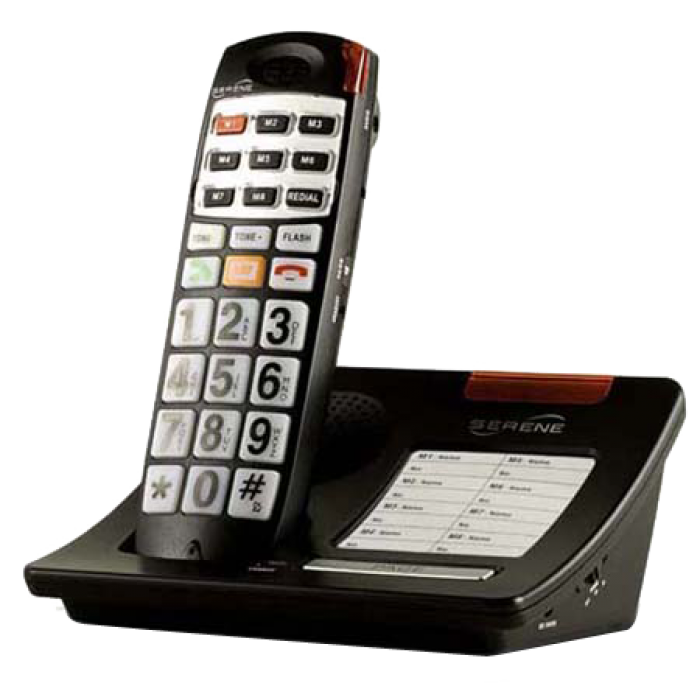 The ClearSounds CSC500 Amplified Spirit Phone offers up to 40 dB amplification with eight large speed dial buttons to display photos. 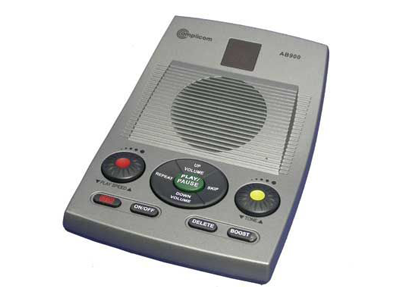 The Amplicom Amplified Answering Machine is a stand alone telephone answering machine, with playback amplification of up to 40dB. The CL-65 Cordless Amplified Phone offers crisp and clear sound with 50 dB of amplification and DECT 6.0 technology.